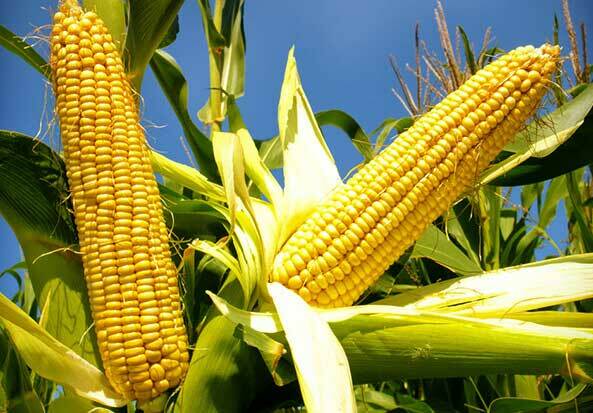 Fresh maize germ has a high water content, and there are lipase, easy rancidity, acid prices increased sharply, so the new embryo should immediately oil. If the embryo must be stored for some time, the embryo must be roasted or extruded extrusion processing, the esterification enzyme esterification passivation, moisture reduction. The choice of oil-making process and equipment should be based on the processing capacity to determine. Treatment capacity, and can be used leaching method of oil. At present, most of the use of screw press oil press. Squeezing can be used two screw press, using the second press. The first into the pressing temperature of 120 ℃, into the water 3-4%, control cake thickness 6mm, the current stable at 25A or so, about 10% residual oil cake. The second press to extract the temperature of 125 ℃, 2.5-3% moisture into the squeeze, cake thickness 4.5-5mm current stability at 28A, residual oil in the cake up to 5.5%. Main features: the use of physical refining process, do not need to alkali deacidification, to avoid the loss of neutral oil, greatly reducing the cost of production. Process: The crude oil is pumped into the refinery for degumming and neutralization. When the oil and soap were separated, rapid sinking, stop stirring, standing, and then aspirated from the upper clear oil to the water wash. Gleditsia from the bottom of the emptying tube into the soap bar barrel, when the Gleditsia oil more, stop the soap feet, soap feet into the soap by the pump tank. The remaining oil in the refinery is mixed with the next tank. The oil removed in the refinery tank was washed and then decolorized by decolorization. The decolorized oil is pumped into the gas analyzer at a constant flow rate and the oil flow is adjusted by the flow meter. In the gas separator, the oil is discharged through a plurality of nozzles on the feed tube, and a high vacuum of about 3 mmHg of absolute pressure is maintained in the gas separator so that a small amount of air is released into the oil. The oil comes out of the gas separator and is pumped into the oil-oil exchanger, exchanged with hot oil coming out of the deodorization tower, and heated to at least 180 ° C. From the oil-oil heat exchanger, the oil flows into the heat-conducting oil heater and is heated to 260 ° C. The heat-conducting oil is heated up to 290 ° C in the heat-conducting oil furnace and recycled in the whole process. The hot oil to be deodorized enters the combined deodorizing tower from the heat-conducting oil heater. The direct steam is used to raise the fatty acid and other relatively volatile odorous substances in the packing section, and then enters the plate-type deodorization and thermal decolorization. In the processing of low acid value or for the finished product oil acid value less demanding oil, you can not through the filler section, direct plate section deodorization and thermal decolorization. Deodorized deodorized oil from the combined deodorization tower, pumped into the heat exchanger and the oil to be deodorized for exchange, and then into the cooler, water cooling, oil temperature is not higher than 70 ℃, and finally through the fine filter, The insurance filter, and then deposited into the finished product storage tank. For the deodorized rice bran oil, tea oil, corn germ oil and other fat (wax) content of higher oil should also be carried out further dewaxing and degreasing. Suitable for oil varieties: rice bran oil, tea seed oil, corn germ, animal oil and other high acid prices, impurities and more fuel. The main complete sets of equipment: heat exchangers, gas analyzers, heaters, modular deodorization tower, fatty acid traps, coolers, four steam jet pump, thermal oil furnace unit.